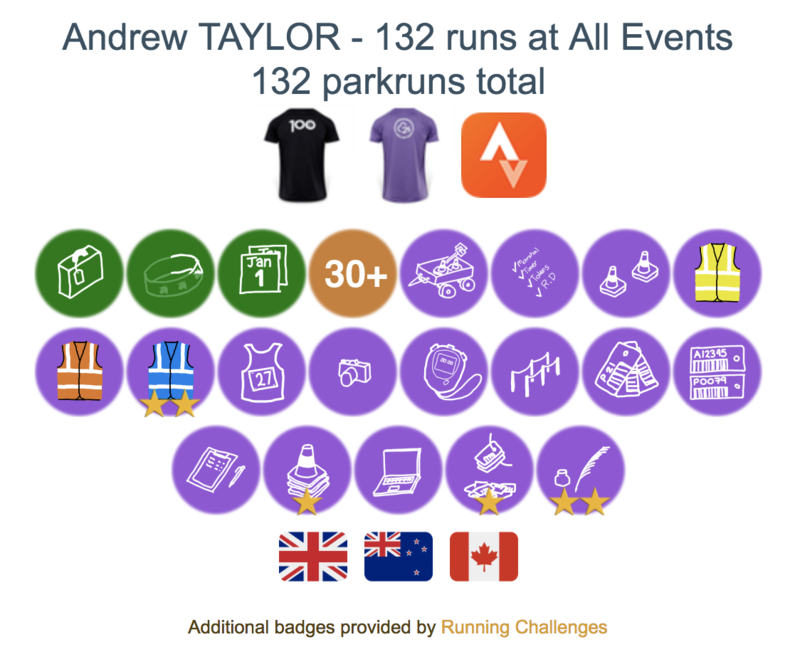 Running Challenges | Collect badges and complete challenges for running, jogging, walking, and volunteering at your weekly 5k parkrun. This browser extension adds extra information to your parkrun results page so you can see your progress. Welcome to Running Challenges! This Chrome extension / Firefox Add-on allows you to play games with your parkrun results, including tourist challenges and tracking your volunteering at parkrun. Each completed challenge gives you a badge on your profile to show off to all your friends! To use this extension you must be using the Chrome/Firefox Web Browser on a laptop/desktop computer, or Firefox for Android - it is not available to install on Apple iPhones/iPads. The extension is published in the Chrome and Firefox webstores, see the getting started page for more detailed instructions. It’s time for the festive extra events! Wow, we’ve now got 2000 users!